A histogram is a chart that displays numeric data in ranges, where each bar represents how frequently numbers fall into a particular range. Like a bar chart, histograms consist of a series of vertical bars along the x-axis. 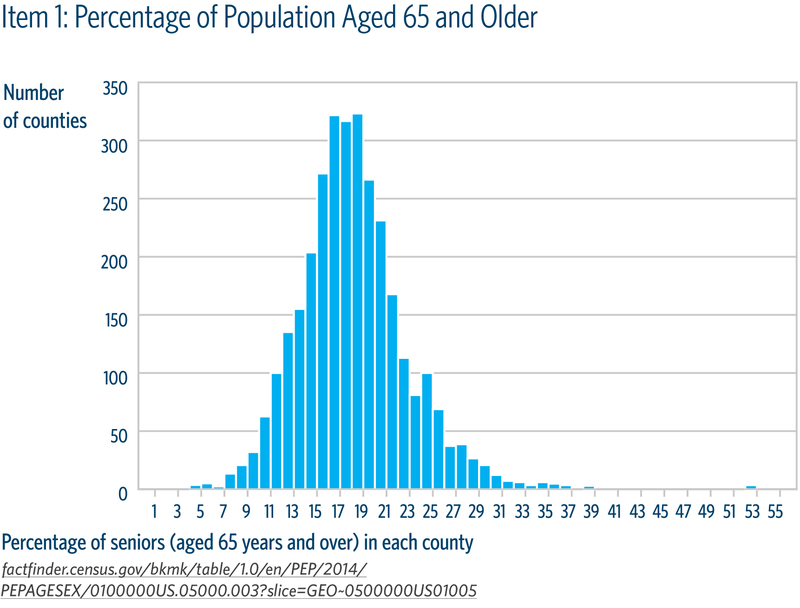 Histograms are most commonly used to depict what a set of data looks like in aggregate. At a quick glance, histograms tell whether a dataset has values that are clustered around a small number of ranges or are more spread out. Include the frequency measurement on the y-axis and ranges on the x-axis. Use a single color for all bars, except when using one additional color to highlight a single bar. Use at least three intervals/ranges. Never add spacing between bars. Bars span the entire range of values for the continuous variable. Don’t orient a histogram upside down.